Holidays or business trips should always be stress free, pleasant and straightforward, as many other things already “enliven” our lives every day. 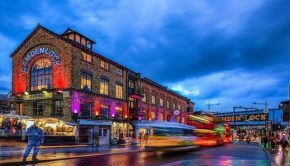 London is a wonderful city, full of tourist attractions and business facilities, so chances are that you’ll be travelling to London at least once in your life. 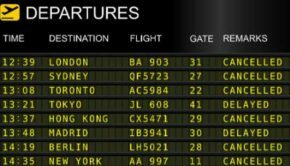 And if you’re planning a visit to London soon, perhaps to join the upcoming 2012 Olympic Games, you’d be most likely to land at London Heathrow, the largest and busiest airport in the United Kingdom. Millions of travelers pass through London Heathrow every year, making it the largest, and the busiest airport in Europe – the fourth-busiest in the world. With over 90 airlines flying to 180 destinations worldwide arriving and departing from 5 terminals, it should be no surprise that Heathrow boasts a traffic of over 65 million passengers annually. Heathrow is located in the London borough of Hillingdon, towards the east of Greater London. The airport is well connected to the city with plenty of options available for getting into town easily. Taxis to central London will cost anywhere between £45 and £70 and will take between 40 and 60 minutes depending on traffic. The Airport is also connected to the Piccadilly Underground Line which runs from the airport to London’s north east. There are three Underground stations in total: one for Terminals 1-3, one for Terminal 4 and one for Terminal 5. Trains start running at 5am and finish at just before midnight. Many local buses connect Heathrow Airport to many west London destinations. Heathrow’s central bus station is located between Terminals 1 and 3, and is open 24 hours a day. 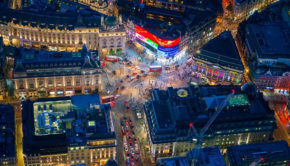 If you’re travelling by night, between midnight and 5.30am, the N9 night bus runs every 30 minutes to Trafalgar Square. As you can see, the million passengers walking through the airport, can easily move in and out and find all they need to make their journey a perfect one. This happens even if you hang around inside the airport before you leave or after your arrival. Terminals 1 and 3 are within easy walking distance of each other, and are connected by a pedestrian underpass equipped with moving walkways. The other terminals are served by free Heathrow Connect rail shuttle (T4) and Heathrow Express trains (T5.) To transfer between Terminals 4 and 5, you can use the free bus services 482 or 490. 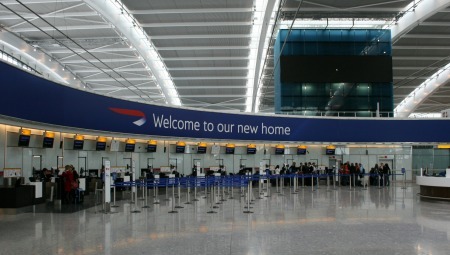 Heathrow’s Terminal 2, closed for renovations in late 2009, is due to reopen in 2014, while the latest addition, Terminal 5, is the largest freestanding building in the UK and is five times the size of Terminal 4. As London Heathrow is one of the biggest, most trafficked international airports, it is obvious that it must cover a wide range of services. Besides the many opportunities for having a nice meal in one of the selected restaurants, or choosing among the many stores available for some healthy, duty free shopping, each of the five terminals also has competitive currency exchange facilities and ATMs accepting international credit cards located before and after the security check-points, as well as information counters, accommodation desks, left luggage facilities and Wi-Fi hot spots (rates are £3.95 per hour, or £9.95 per day.) The Airport has three business lounges, mobile phone and laptop charging stations, chapels, smoking areas (before security control only), pharmacies, and even a spa (Terminal 5). There are four parking options available at Heathrow Airport: Short Stay, Long Stay, Business and Valet. If you’re only parking for a few hours, then you can find a Short Term Car Park beside each of the terminal buildings. Instead, Parking Express Heathrow is the official Heathrow Long Stay Car Park, serving Terminal 1, 2, 3 and 4. There’s also a new Long Stay Car Park specifically for Terminal 5 passengers, located on the Northern Perimeter Road. The Long Stay Car Parks have a courtesy coach service connecting them to their terminals. 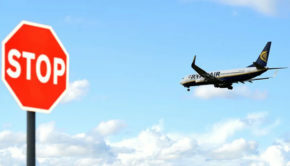 For Business and Valet parking information, you can visit the airport’s website.